April 26, 2018 – Saint Louis, MO – Advanced ICU Care, the nation’s leading provider of tele-ICU services, announced ongoing progress in the expansion of its newest service offering, in-patient cardiac telemetry services, ahead of the American Telemedicine Association’s Annual Conference and Expo (ATA18), where company leadership will take an active role. 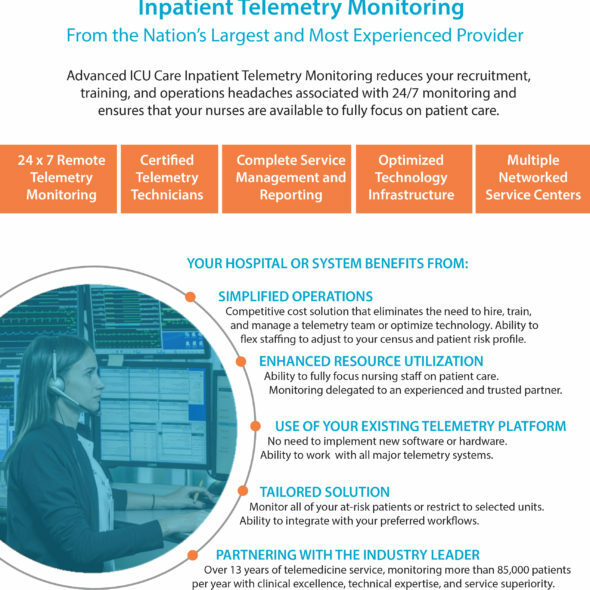 In addition to serving more than 65 hospitals in 25 states as the nation’s largest, most experienced tele-ICU provider, Advanced ICU Care has now grown its telemetry services client base from a single hospital in early 2017 to include nearly 200 monitored beds under contract, including agreements with nationally recognized hospital systems. 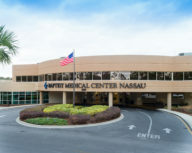 The addition and expansion of the in-patient cardiac telemetry service line is designed to meet the developing needs of client hospitals and expand upon the existing telemedicine leadership and expertise of the company. Remote in-patient cardiac telemetry monitoring is recognized as a cost-efficient and clinically effective way to support bedside personnel in detecting critical events in potentially at-risk cardiac patients. Dedicated telemetry/Electrocardiogram (EKG) technicians are exclusively focused on monitoring changes in patients’ heart functions, reviewing related alerts and collaborating with bedside providers to identify those monitored patients requiring enhanced clinical attention. By leveraging a dedicated service provider such as Advanced ICU Care, hospitals are able to focus on care delivery rather than the staffing, training, management and outfitting of a telemetry team. 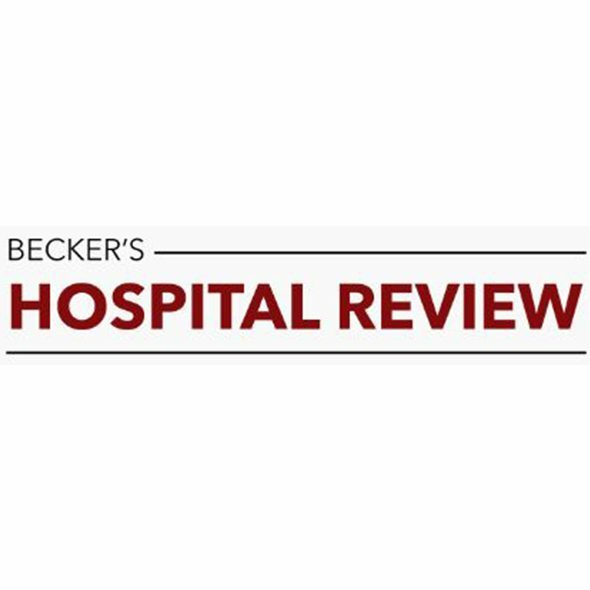 With access to a services model for cardiac telemetry, hospitals recognize the efficiencies of relying on Advanced ICU Care’s expertise in acute care, tele-technology and remote patient monitoring. The Joint Commission has identified reducing the harm associated with clinical alarm systems as a National Patient Safety Goal for 2018. Support from Advanced ICU Care’s specialized telemetry team establishes a dependable policy and procedure for cardiac alarm monitoring, which enhances a hospital’s ability to closely observe patients in care areas that may have higher patient-to-nurse ratios and removes the strain of additional responsibilities on the nursing staff. Memorial Health System’s Passavant Area Hospital in Jacksonville, IL was the first to launch telemetry services with Advanced ICU Care in 2017. 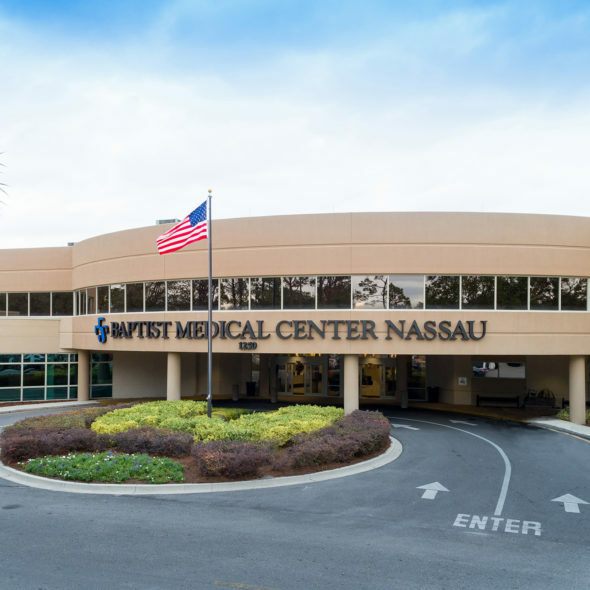 Through the collaboration, Passavant’s high-risk cardiac patients benefit from 24 x 7 x 365 advanced telemetry monitoring systems. 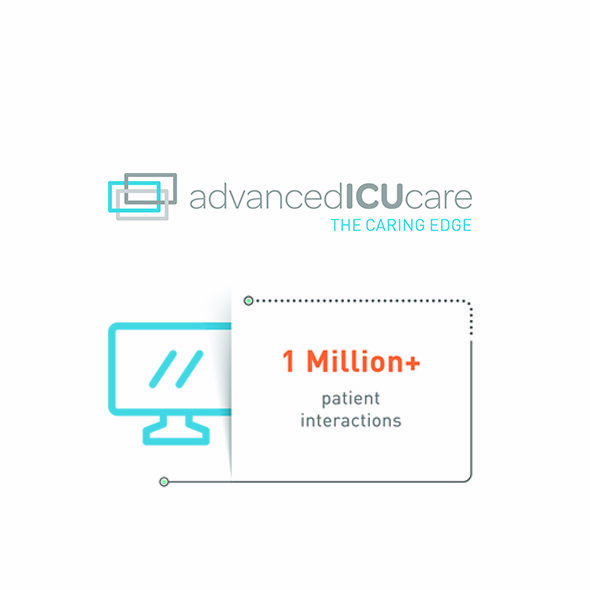 With over 12 years of experience in delivering the gold standard of care in the ICU, Advanced ICU Care has deep clinical and operational knowledge in continuous care services for critical patient populations. The company is dedicated to assisting bedside care teams via cutting-edge technology-enabled service platforms such as tele-ICU and telemetry to improve outcomes for critically ill and at-risk patients.